agarner (Anna Garner ’19, Assistant Opinions Editor) [4:12 PM] Hey guys! 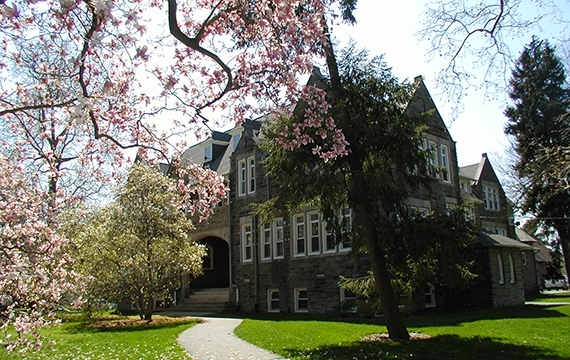 The topic of discussion today is female body image at Swarthmore. Body image is something that plagues us on a daily basis. Has your own concept of body image changed since coming to Swarthmore? sonakumar (Sona Kumar ’17, Arts and Features Editor) [4:19 PM] I’d say my concept of body image has changed a lot since coming to Swat… I played basketball in high school and there was definitely an emphasis on having a “good” body (as in, thin, abs, etc.). And then I came to Swat and people here don’t subscribe as much to the idea that you can only have a good or worthy body if you have a flat stomach. allisonhrabar (Allison Hrabar ’16, Co-Editor-in-Chief) [4:20 PM] I feel like being at Swarthmore complicated my concept of body image in an unexpected way. My high school was small (and, frankly, super weird), and there wasn’t a lot of pressure to look a certain way. Obviously I and most of my female friends struggled with body image, but it became harder to talk about when I came to Swat. We’re an enlightened, progressive school, and it can feel like thinking about the way you look is equated with being shallow. morgingoldberg (Morgin Goldberg ’19) [4:20 PM] I don’t know if it has really changed drastically–I think maybe there’s an additional pressure of being around people all the time and seeing their eating/exercising habits and comparing. Also, I witness a lot of general perfectionism here and body-related pressure is definitely coupled with that for me. But I think I just more carried my existing conceptions to college. And Allison, I definitely feel that. I think people are less likely to admit to feeling it themselves as opposed to discussing general, theoretical ideas about it. allisonhrabar [4:22 PM] Oh, definitely! I’ve had so many conversations about body image in “society”, but fewer personal ones. agarner [4:27 PM] I think an interesting nuance of the Swarthmore body image is “natural beauty.” We like to think that we’re so body positive, that it’s almost a shameful thing to focus on your appearance. You should be able to step out of the shower and “have it all together” when that’s not a reality for most people. I think Allison brought up an interesting point about not wanting to seem shallow here. And, that adds another layer of pressure to how we perceive ourselves. morgingoldberg [4:29 PM] I guess for me I still think about it even if I don’t talk about it. I do like that there’s less diet-talk, though. In high school, I heard a lot of almost-competitive diet comparisons all the time, which I think would not go over well with my friends here. natalieflores (Natalie Flores ’19, Staff Writer) [4:32 PM] I think, though, that while diet-talk can be extremely unhealthy, not being able to talk about it for fear of “seeming a certain way,” can be equally dangerous. For instance, I gained the freshman 15 (more like 25), and instead of feeling like I could talk about my weight and find reasonable, healthy ways to lose weight, I mostly bottled it up and started to develop probably really unhealthy eating habits for a little while. Which I really had to make a conscious effort to snap out of. agarner [4:38 PM] I really agree with what Natalie and Morgin are saying. Body image is something that I’m always going to struggle with no matter if it’s talked about openly or not. There are always going to be aspects of myself that I’m unhappy with and when I feel like I can’t share that for fear of being judged for not being “liberated enough,” I internalize it and it gets worse. Do you think there are ways we can combat this on campus? morgingoldberg [4:46 PM] I honestly feel like part of it is I don’t really know how to productively/reasonably/healthily discuss weight-loss and diet and exercise or even talk about my own body, which is a shame because I want to. Intellectually, yes. But, in practice, it’s just really easy to fall into a competitive mindset either about dieting or just saying negative things about your body to make your friend feel better. Also, as someone who’s had an ED, I find the conversations really easily triggering. So I guess learning how to discuss it accurately? Realistic, applicable knowledge so that I can figure out how to strike the balance in the first place? And spaces to do it? allisonhrabar [4:48 PM] I hate to use the word “awareness,” but I do think Swat has a severe lack of understanding about body image despite being a campus that seems to talk about mental health in a better-than-average way. Most Swatties wouldn’t tell you they think depression is a choice or something you can just snap out of, but I’ve had friends and boyfriends tell me to just be less “insecure,” or make me list what I’ve eaten every day in an attempt to “help” me eat more. sonakumar [4:52 PM] Yeah, I think that for some reason we separate body image from other mental health issues in a way that’s really damaging. Or we think that as Swatties we are intellectually superior and should be immune to thinking about our body image or feeling bad about how we look. And I think that’s part of what makes it so hard to find spaces to discuss in a safe way. natalieflores [4:52 PM] I totally agree with Allison. And another thing that I’ve noticed is that a huge part of Swat is that you can “always ask for help,” but a lot of the time, that “asking for help” has to happen with you doing that alone. Even in the cases of mental health, it’s not like there’s a ton of groups and safe spaces where you can have discussions that are mediated and directed at both making you feel like you’re not alone in addition to harboring healthy discussion and solution options. A huge part of body image is that even though it’s a really, deeply personal experience, the “safe space” and group environment would be incredibly beneficial. morgingoldberg [4:55 PM] I also think not just talking about it as medicalized, through a technical NEDA/Health Center lens, but also discussing it as a common phenomenon endemic to our culture that lots and lots of people experience some iteration of even if it doesn’t “count” as an ED. sonakumar [4:56 PM] But I think that that makes talking about it in a group environment even more important. morgingoldberg [4:57 PM] I’d like to see all the angles, not just the typical ones. The WRC, cultural groups, academic departments – it’s relevant and important enough. agarner [5:03 PM] That’s a really good point Morgin. I think even just having this discussion is a step in the right direction. Is there anything else that anyone wants to touch on? morgingoldberg [5:06 PM] Definitely better food that is both healthy and substantial, I feel like I have to pick one or the other. I also really want female-only work out times in the gym but maybe that’s a different rant. allisonhrabar [5:11] I think it’s really important for people to recognize that this is an issue that is, like Morgin said, relevant to all parts of our lives here. It’s not just about counseling, or finding food at Sharples, or finding a friendly time to go to the gym. We have to be okay with talking about how all of those factors work together, and be okay with listening to people who are struggling. That sounds trite, but it’s also true.